It has been a trend recently that most of the successful titles in the console market are being ported to the handheld platform. Nintendo and Sony are making their fans drool in excitement as some successful titles to whom most console gamers fell in love with. An example is Final Fantasy Tactics, a 10 year old game that was originally released on the Playstation last December 31, 1997 by Squaresoft (now Square-Enix) now being released on the PSP with multiplayer capabilities. Nintendo DS fans have their share of portable goodness, Final Fantasy XII: Revenant Wings is an "expansion" of Final Fantasy XII that was released by Square-Enix on the Playstation 2 console. Action hungry gamers need not fret. God of War: Chains of Olympus for the PSP promises a bloodfest jus like its console counterpart. As for the thrill seekers, Silent Hill Origins for the PSP will haunt your cold summer nights. 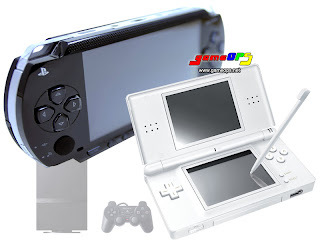 Buying a Nintendo DS and a Sony PSP is worth it if you see this lineup.